Hi, this is Matt and welcome to my blog. I started this blog to do what I always wanted to do since I was a child: write. This particular blog is about running. 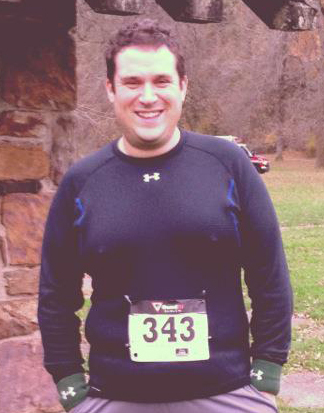 I started running 3 years ago when I had just quit smoking and weighed 315. (read the “I’m A Runner post for more details on that). I was posting a lot of my running pictures and posts to Facebook but decided a blog would be a better place to share my experiences, stories and advice with others who share the same love that I do. Anyone on Facebook knows that a serious post can turn ugly once one of your bonehead friends or uncle who thinks he’s a riot makes some non-related, goofy comment. I became deeply inspired by Ted Spiker who writes a blog for Runner’s World called “The Big Guy Blog“.I hope to offer a similar yet unique type of blog from him but being a 6″1 “big boned” guy being a runner is like being a fish out of water.I am grateful that anyone reads what I post let alone follows me. I hope to make this a pleasant and enjoyable experience and am excited to share my stories, my photos and to presents questions from time to time. As a fellow big runner… I like your blog! Thank you so much! I was checking out some posts on your blog and I enjoy reading yours as well!Keep running and enjoying life.